Making plans for this year’s 35th anniversary CMS gala are, from left to right, CMS Music Director Tom Briggs, CMS Trustee and Gala Sponsor Bruce Lawrence of Bogaert Construction, CMS Trustee and Gala Sponsor Jennifer Bauman of The Bauman Family Foundation, and CMS Executive Director Abigail Nickell. DEEP RIVER – Community Music School’s (CMS) largest annual fundraiser is the CMS Gala and this year the organization is celebrating its 35th anniversary with For the Love of Music! The event takes place on Friday, April 27, at 6:30 p.m. in Deep River at The Lace Factory and includes fabulous musical entertainment provided by CMS faculty and students. Enjoy cocktail jazz and an exquisite dinner show, as well as gourmet food, dancing, silent auction, fine wines and more. Featured faculty and student performers include Music Director Tom Briggs, Noelle Avena, John Birt, Amy Buckley, Luana Calisman-Yuri, Audrey Estelle, Joni Gage, Silvia Gopalakrishnan, Martha Herrle, Ling-Fei Kang, Barbara Malinsky, Matt McCauley, Kevin O’Neil, Andy Sherwood, and Marty Wirt. Support of the Community Music School gala provides the resources necessary to offer scholarships to students with financial need, as well as weekly music education and music therapy services for students with special needs. For The Love of Music! sponsors include The Bauman Family Foundation, Bob’s Discount Furniture, Bogaert Construction, Clark Group, Essex Savings Bank, Essex Financial Services, Grossman Chevrolet Nissan, Guilford Savings Bank, Jackson Lewis, Kitchings & Potter, Maple Lane Farms, Reynold’s Subaru, Ring’s End, Shore Publishing, Thomas Alexa Wealth Management, Tidal Counseling LLC, and Tower Labs LTD. Early bird tickets for the evening are $125 per person ($65 is tax deductible) by April 13 and $135 thereafter. Event tickets include hors d’oeuvres, gourmet food stations, wine and beer, live music, and dancing. Tickets may be purchased online at community-music-school.org/gala, at the school located at 90 Main Street in the Centerbrook section of Essex or by calling 860-767-0026. Community Music School offers innovative music programming for infants through adults, building on a 35 year tradition of providing quality music instruction to residents of shoreline communities. 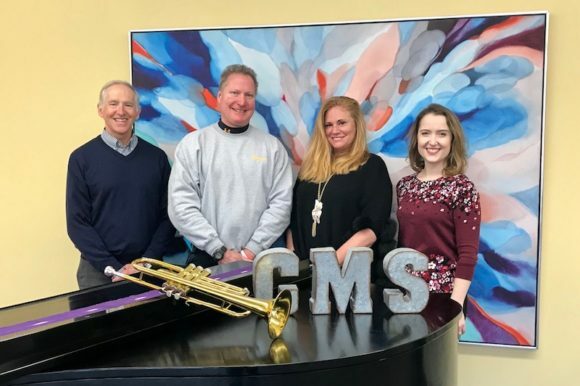 The CMS programs cultivate musical ability and creativity and provide students with a thorough understanding of music so they can enjoy playing and listening for their entire lives. To learn more, visit www.community-music-school.org or call (860)-767-0026.